Des Moines, Iowa. January 31, 2019- The Society for Annuity Facts and Education (SAFE) is pleased to welcome Sheryl J. Moore as its new Chief Research Officer (CRO). As head of research for the organization, Moore will provide fact-checking services to media outlets, ensure the nonprofit has access to timely annuity statistics, and structure all consumers’ surveys and research for the nonprofit. “We are very proud to have Sheryl as the Chief Research Officer of SAFE. She is nationally acknowledged as a leading authority on all aspects of annuity products including industry sales trends, product development, and consumer needs and uses of annuities,” said Harry Stout from SAFE’s Board of Directors.” SAFE’s Board of Directors believes naming Sheryl to this position is another key step in repositioning the organization for the future,” Stout continued. Ms. Moore will immediately commence her duties as CRO of the organization, by planning the first consumer research survey conducted by SAFE on demographics of annuity purchasers. The research will not only provide insight as to whom the typical annuity purchaser is, but also flesh-out details on what motivates an individual to purchase an annuity. Sheryl J. Moore is the founder, creator, President and CEO of Wink, Inc., an independent market research firm focused on annuities and life insurance. 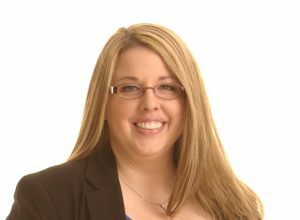 Ms. Moore previously worked as a market research analyst for top carriers in the life insurance and annuity industries. She co-authored The Encyclopedia to Indexed Products: Annuity and Life, and has published over 400 articles on annuities and life insurance; she is frequently quoted by industry trade journals and magazines. The Society for Annuity Facts and Education (SAFE) is a 501(c)(3) non-profit charitable organization, founded in 2012, expressly committed to educating consumers about annuities, and providing them with the information they need to consider whether an annuity is appropriate or not. Originally Posted at CISION PR Newswire on January 31, 2019 by The Society for Annuity Facts and Education.